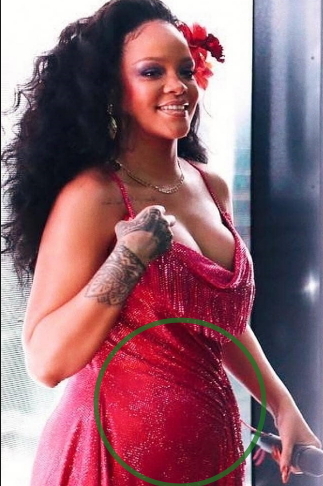 American singer, rihanna would be joining the likes of Kourtney Kardashian if the bump on her is that of a baby and not from eating too much. 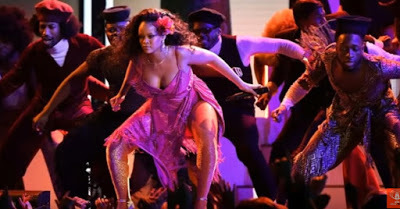 The 29-year-old native of Barbados got tongues lashed by die-hard fans after she did the popular Gwara Gwara South African dance move as she performed on stage her hit song, Wild Thoughts at the just concluded heavily pregnant Rihanna at the just concluded 2018 Grammy Awards held in New York City’s Madison Square Gardens. 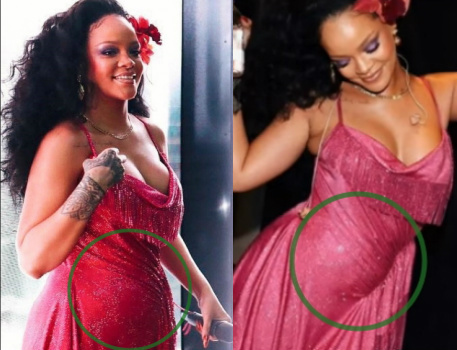 Wearing a plunging pink dress, which flaunted both her cleavage and her legs, the 29-year-old undoubtedly set pulses racing but got slammed by shallow minded online critics over her performances without taking a closer look at her baby bump which obviously contributed towards the flop in dance steps. Her baby father is said to be her billionaire Saudi Arabian boyfriend, Hassan Jameel. 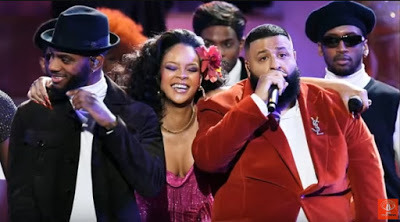 Well we hope when the baby finally arrives, her critics will see reason to accept her for her not-so-good performance at the 2018 Grammy Awards.